Annexed from Rowan County in 1788, Iredell County was named in honor of James Iredell, North Carolina attorney general and one of the first Supreme Court appointees. Iredell was an offshoot of Eyredale, meaning “a valley of flowing air.” Statesville, founded in 1789, is the seat of government, and other communities in Iredell include Love Valley, Troutman, Turnersburg, Harmony, and Barnum Springs. The Catawba and Cherokee lived in present-Iredell before war and disease, carried by Europeans, drove them away from the land. German and Scotch-Irish settlers moved to Iredell in the mid-eighteenth century, attracted by the soil and freshwater of the region. Today, Lake Norman, described by many as the largest freshwater, man-made lake in the nation, reaches into Iredell County. With over 520 miles of shoreline in Iredell County, Lake Norman remains the most popular tourist attraction and physical trait of the region. Fort Dobbs, constructed in 1756 during the French and Indian War, remains the only North Carolina historic site that commemorates the precursor war to the Revolution. In 1756, Arthur Dobbs, the royal governor of North Carolina during the war, was commissioned by the British crown to build a fort to protect colonists who lived in the western wilderness of the North Carolina colony. Dobbs selected Colonel Hugh Waddell and his fifty soldiers to be garrisoned at Fort Dobbs (named after the royal governor). The only attack of Fort Dobbs occurred on February 26, 1760: Waddell and his company repelled approximately seventy Cherokee. Fort Dobbs was abandoned after the war in 1766. In the middle of the nineteenth century the railroad initiated major economic growth in Iredell County. The Western North Carolina, constructed in 1858, and the Atlantic, Tennessee, and Ohio Railroad all crossed through Iredell in the late nineteenth century. The railroads increased trade flow in and out of the region, and tobacco, herbariums, and liquor businesses prospered in Iredell. One industry, the Wallace Herbarium, became the largest facility of its kind in the world during the economic railroad boom. However, the stimulus subsided after the mid-twentieth century. Today, farmers in present-day Iredell County raise many different types of livestock, but the county is most well-known for its stock of breeder chickens. Some important tourist attractions include the North Carolina Auto Racing Hall of Fame or Race City USA and the popular western-style campgrounds in Love Valley. The Ole Time Fiddler’s and Bluegrass Festival and the National Balloon Rally are two cultural events held year-round in Iredell County. 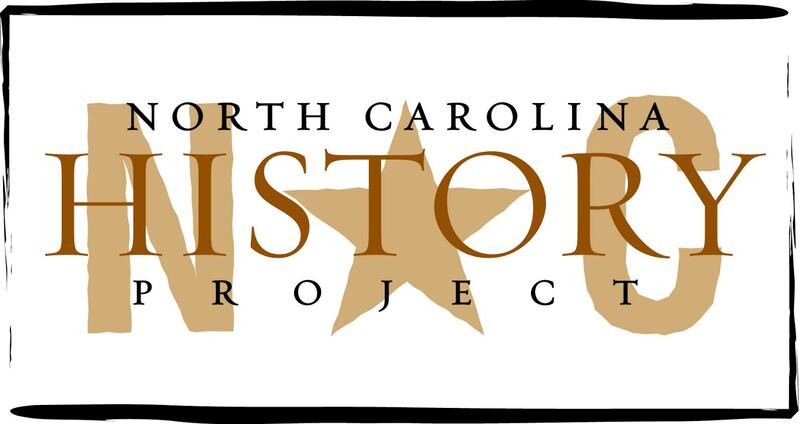 Several important North Carolinians were born or resided in Iredell County. J. P. Caldwell (1853-1911) was born in Statesville, and he eventually started the Charlotte Observer. William Sharpe (1742-1818), although born in Maryland, resided in Statesville, and he was one of the first to advocated for a university in North Carolina. Even though he proposed an unsuccessful bill in 1784 to establish a public college in the state, construction of the University of North Carolina was started on 1793 much to Sharpe’s work in the North Carolina legislature. “Iredell County.” William S. Powell, ed. Encyclopedia of North Carolina (University of North Carolina Press: Chapel Hill, NC 2006). “Iredell County History.” Iredell County government website. http://www.co.iredell.nc.us/about.asp, (accessed November 25, 2011). “Fort Dobbs; J.P. Caldwell; William Sharpe.” North Carolina Highway Historical Marker Program website. A Division of the North Carolina Department of Cultural Resources. (accessed November 25, 2011).